Thanks to all 845 of you who entered for the chance to win the set of 12 Copic Ciao markers that Marianne Walker/Copic was giving away, to celebrate her one year blogiversary! Wow, you all certainly do love these markers (and I don't blame you)!! Which is Ann Clack ... congratulations! Ann, I've sent you an email -- if you don't find it, please contact me at the email address located under my photo. Don't forget, you can still enter Debbie's giveaway and then Marianne will have one whopper of a giveaway for you tomorrow -- you don't want to miss it! 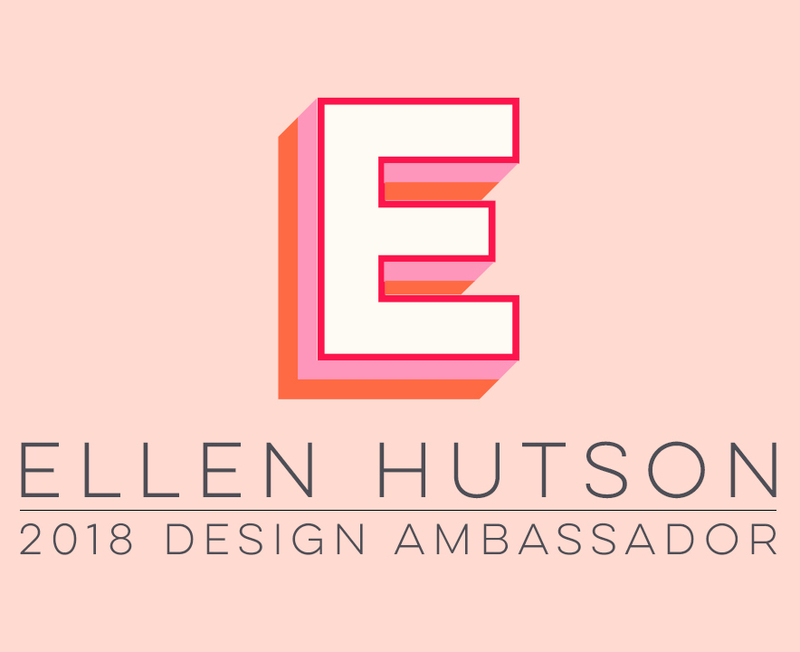 Just a quick note to let you know I have a project up today over at Ellen Hutson's the CLASSroom. Have you seen these sweet, new Panda stamp images by Memory Box? There are several different ones and having two young girls, I was pleased to find this girly Sunny Panda in a dress! I hope you'll join me today over at the CLASSroom to see how I created this project. I also wanted to remind you that you still have until 11:59pm CDT tonight to enter my drawing for the chance to win a set of 12 Copic markers. Please see THIS POST to do so. I'll announce the winner tomorrow. You'll also want to head over to Debbie's blog today to see what fantastic Copic product she's giving away to help Marianne Walker celebrate her one year Blogiversary! Happy Friday, All! Sorry I'm running a bit late with my sketch challenge today -- we had first grade graduation and awards this morning. (Sigh), they grow up too quick, don't they? And it seems my camera is in need of a cleaning, as I've been spending way too much time Photoshopping out a bunch of little random dots on my photos -- ugh! So anyway, here we are, finally . . . I needed my 6-inch June calendar, and this lovely new October Afternoon Cherry Hill paper arrived in my mailbox just yesterday, so that was totally the inspiration for me today. Isn't it yummy?!! I thought Karen Lockhart's Itty Bitty Cherries would be a perfect accent, so I stamped them onto white cardstock, punched them out and adhered them to Inchie Arts Black Inchie Squares -- that set the tone for my black accents. The cherries were colored with these Copic markers: R332, R35, R37, YG03, YG17 and accented with my custom lighter BG000, to match the cherry paper. Speaking of those Copics, be sure to enter my Copic giveaway two posts below this one (Thursday's) ... The Copic Designers are helping Marianne Walker (Copic's Product Specialist) celebrate her one year of blogging! You have until tomorrow at 11:59pm to enter for the chance to win. I hope you'll try this Weekend Sketch Challenge, it's hosted today by Lori ... you can find the sketch and her sample over at her blog this morning. And I hope you'll check in on these ladies' blogs, to see what they've created for you today, too: Cami, Charmaine and Jenn. Supplies - Stamps: Lockhart Itty Bitty Cherries. Paper: October Afternoon Cherry Hill, Neenah Natural White. Ink: Memento Tuxedo Black, Copic markers. Accessories: Inchie Arts Black Inchie Squares, Martha Stewart 1" punch, Fiskars Threading Water border punch, PTI & Offray ribbon, sewing machine + black thread. Today, Our Craft Lounge is celebrating a few different things ... the most important of which is co-owner Joy Kennedy's birthday! Joy loves Kona the Turtle (see below! ), so in honor of sweet Joy's special day, OCL is releasing this great set, Hangin' Loose With Kona -- just in time for the start of summer! Cowabunga, Dude! This stamp set will be available exclusively from eclectic Paperie, beginning right now! Won't he make adorable summer party gathering invitations and birthday cards? You can join me in wishing Joy a very happy birthday, by surfing over to Cambria's blog, where you'll find a list of everyone participating in a blog hop for Joy's birthday today, all showcasing this sweet new stamp set! Happy Birthday, Joy!! That's all the artwork I have for you today, but please check back tomorrow for the Weekend Sketch Challenge. And don't forget to enter for the chance to win the set of Copic Ciao markers I'm giving away in the post below this one! Today the 1-year Blogaversary for Marianne Walker (Product Specialist for Copic) continues. To help celebrate, today through Saturday you have the chance to win this set of 12 of Copic's Soft Pastels Ciao markers (retail value $38-$40)! All you have to do to be entered for the chance to win is leave a comment on this blog post. Only one entry per person, please. You have until this Saturday, May 30th at 11:59pm CDT to enter for the chance to win. Then on Sunday morning I'll let Random.org choose the winner and I'll notify you back here. Good luck and thanks for helping to share in Marianne's celebration ... I know a LOT of you have enjoyed all of her Copic coloring tricks & tips over the past year! Mon, Jun 1 - Wed, Jun 3: Marianne Walker will end the party with a bang! THIS GIVEAWAY HAS ENDED AND COMMENTS ARE NOW CLOSED. THANKS FOR ENTERING!! I gave Ellen Hutson's Technique Tuesday on Ghosting a try and loved the results! I hope you'll check out Ellen's technique linked above and join me in the CLASSroom today, as I share the card I came up with! We needed one last teacher birthday gift for the year, so I thought some of my Orange Spiced Tea might help a teacher have a nice, calm and relaxing summer! (You can find my tea recipe HERE). Next I took the center off my 2" Wood Stamper and customized the outer border with "Teacher Tea ... Calm & Relaxing!" in JustRite's 15-point Times New Roman Font. Then I did my cutting trick again and cut apart one of the pre-made border rings that comes with the A Little Caffeine Set and used a single flourish in between my upper and lower sentiments. I inked the words with Tangelo Memento ink and the flourishes with Bamboo Leaves Memento and stamped onto Neenah Natural White cardstock. I die cut the sentiment border, inked the edges with Papertrey Ink's new Chamomile ink and layered everything together with a green patterned paper mat. I adhered this to the top of a plastic jar I recycled (it's about 8-10 oz.) and covered the jar with patterned paper. On the bottom of the jar, I put instructions on how to make the tea and who it's from. I used Clear Copic Spica Glitter Pen for the steam coming off the teacup and Orange Spica on the cup's handle and orange accents on the saucer -- hopefully you can see the lovely sparkle in the photo above (click on it for a larger view). The coordinating birthday card also uses JustRite's 2" Wood Stamper and 15-point Times New Roman Font Set to spell out "Mrs. Waldrop" on the lower half of the border. Can you tell how much I LOVE making custom words, sentiments and borders with my JustRite stamps?!! I had a little help with the upper "Happy Birthday To You" part of the border ... it's a demi-phrase (half-circle) from JustRite's Celebrations Demi Phrases Set that includes 15 half-circle borders! Again, I kept the flourishes in between the phrases, to match with the tea jar. I paper pieced the center darling cupcake image from JustRite's new 2-3/8" Wood Stamper set, cut it out, used Copic W1 to shadow the frosting a bit, and adhered it to the center of custom border. The Copic Spica Glitter Pens pictured above were used to highlight the dots on the patterned paper frosting (if you click on the photo for a larger view, you'll probably be able to see the sparkle!). I'll be back tomorrow with my Copic giveaway, to help Marianne Walker celebrate her first year of blogging, and also with a preview of an exclusive stamp set being released by Our Craft Lounge ... fun stuff! First of all, I apologize for all the notices of blog posts you'll be receiving from me over the next few days ... there's a lot going on here at the end of the month and I hope you'll join me for the next few days! NEW COPIC SPICA GLITTER PEN COLORS ARE HERE! They've finally arrived . . . those 11 new Copic Spica Glitter Pen colors! You can find them in Ellen Hutson's store, they are listed as Set B (which includes Clear). If you missed it, I updated my blank Copic color chart -- the one you can color in with all of the marker colors you have -- and added these new colors of Spica Glitter Pens to it. You can download it from my Copic Info Page. Don't forget about Copic's Marianne Walker's Blogaversary giveaways going on this week (The Copic Design & Blog Team members are helping her celebrate her first year of blogging on June 1!). Today, Sally Lynn still has her giveaway of the original set of Copic Glitter Pens on her blog through tomorrow (Thurs, May 28, 11:59pm). Then be sure to check back here tomorrow for my Copic giveaway! To clarify ... I'm not giving anything away here on my blog today, that's tomorrow (wink)! If you'd like the chance to win Sally Lynn's original set of Glitter Pens, you must enter for her giveaway on HER BLOG! I'll be back in a bit with a JustRite gift set for you! Today, as we think about the many men and women who have given their lives to protect our freedom and bring safety to our country and homes, I wanted to honor them and my 84-year old father-in-law who served in WWII. He usually gets a little down on this day, remembering all of those he served with and that weren't as fortunate to make it back home. I used the current CPS#117 for the layout for my card and then searched through my JustRite stamps and found the perfect circular element for the sketch -- "You're in our thoughts today" phrase from the Celebrations Demi Phrases Set. That top phrase comes pre-made and ready for you to either use by itself, or add something to the lower half of the 2-inch stamper'sborder. I used JustRite's 15-point Times New Roman font to add "Thanks for your service". I believe the 15-point font is currently only available in the set that comes with the 2-inch wood stamper. I stamped the phrase and then die cut it, inked the edges and matted it with navy cardstock. For the center of the circle, I placed a die cut star that I scored and then lightly sanded. Dimensional foam tape keeps the center of the star popped up for a nice dimensional effect. The circle, along with the red rhinestoned label die cut, are adhered to the card base with dimensional foam tape. I machine zig-zag stitched around the 5-inch square card base. Card Supplies -- Stamps: JustRite Celebrating Demi Phrases 2" Set, 15-point Times New Roman font & 2" Wood Stamper. Paper: Graphic 45 Fashionista collection, WorldWinDark Berry Red, SU Night of Navy, Neenah Classic Cream. Ink: Memento Rhubarb Stalk, Ranger Antique Linen Distress. Accessories: Spellbinders Star Nestabilities die set, Classic Circle Nestabilities, Labels 4 die set; The Paper Studio red gemstones; sewing machine; dimensional foam tape; sponge; sanding block. In honor of Memorial Day, Ellen has a stamp set giveaway going on over at the CLASSroom today. Be sure to check it out and enter for the chance to win by 11:59pm PDT tonight! And don't forget to enter Marianne Walker's Memorial Day stamp set and Copic marker giveaway today and then hop on over to Sally Lynn's blog tomorrow (Tues) for her Copic giveaway! Inchie & Copic Stuff & Giveaways! As I started to toss out the crumpled and wet notecard, I noticed something -- the cardstock and papers were worn from bouncing around in her backpack for a few months and now they were warped and peeling apart from being soaked with Gatorade . . . But the Inchie Arts White Inchie Square, colored with Copic markers had held up just fine! Mon, Jun 1 - Wed, Jun 3: Marianne Walker's 1 year blogging anniversary giveaway! Yesterday was my 15th wedding anniversary and this is the card I gave my husband, telling him I wish we were back on the beaches of Hawaii on our honeymoon ... Good times! Mary Jo is hosting this Weekend Sketch Challenge, so you can find the sketch over at her blog this morning and we hope you'll play along with us this weekend. So the idea of stamping it on acetate or vellum came about -- that way I could flip the image over to the back side and have the image face the direction I wanted it! For a more transparent background to the image, I decided to make this a window card. I used Classic Square Nestabilities dies to cut the window in the card and in the striped October Afternoon (Hometown: Main Street) paper. This paper reminded me of the stripes you often see on beach chairs! Card base is 5-inch square Stampin' Up Night of Navy. I stamped the chair with Memento Tuxedo Black ink on Papertrey's vellum cardstock and then flipped the image over and colored on the front side (actually the backside!) of the vellum/image with these Copic markers: BG05, E31, E35, Y08 & YG25 (Notice how nice and non-streaky the coloring is on vellum? That's the beauty of Copics!). The "Dream" sentiment is also by Karen Lockhart (just released this month) -- it was also stamped with Memento Tuxedo Black ink. More October Afternoon (Night Light: Katie) paper strips accent the front, along with a tied Foof-a-La button. I hope you'll check in on these ladies, to see what they did with the sketch: Cami, Charmaine, Jenn, Mary Jo, and posting on Saturday -- Lori. If you are in the U.S., I hope your long Memorial Day weekend is enjoyable ... I hope to have a few more projects to share with you over the weekend, too. Drink coasters made with Copics? Yes, and it's easy! Please join me today in the CLASSroom and I'll show you how! If you visit here often, you've probably seen me use some custom lighter shades of Copic markers. Marianne Walker, Product Specialist for Copic, explains in detail how to fill an empty Copic marker and how to refill your drying-out markers. Debbie Olson has shown her custom colors and the ratio she uses to mix them. Today while I was refilling my custom lighter colors, I thought I would show you exactly how to do that. To create custom colors, you will need Copic Colorless Blender Fluid and an empty Sketch marker or a Colorless Blender marker that is going dry. Empty Various refill ink bottles are also available. Since these bottles have the CC measurements on them (see last photo), they make it easy to get your mix/ratio just right. Start by removing the dropper tip from the Various ink refill bottle and put in the desired amount of Colorless Blender Fluid -- this will just thin out and make a lighter color of whatever shade you are working with. For my custom colors, I use a ratio of 2 parts Colorless Blender fluid to 1 part of color. Now fill your empty Sketch marker with your new custom color and enjoy! By mixing enough of the same color at one time, you can store it for easy and precise refilling in the future. In Ellen Hutson's InTouch Newsletter today (email distributed on the 15th of each month), we're getting inky! You'll find some very informative and in-depth ink comparisons. My topic is The Best Inks To Use With Copic Markers ... I hope you'll find it informative and discover a few alternatives. Ellen gives a wonderful comparison of all the inks she carries in the store and why. Debbie shares great tips for watercoloring with ink and Cindy covers the properties of Ranger's Distress and Archival inks, with some wonderful tutorials. We hope you'll visit and see what we've prepared for you. If you are not receiving Ellen's InTouch Newsletter each month, you can sign up here to be on the email list (scroll down to the bottom of the page). You don't want to miss it -- there's usually a discount coupon code for the store included, too! The Weekend Sketch Challenge is hosted by Charmaine today. You can visit her blog to find the sketch and enter your creation sometime this weekend. You can also find her sample there and I hope you'll visit these sweet ladies to see what they've created for you: Cami, Jenn, Laurie and Lori. Pink Copic Spica Glitter Pen was used to accent the darker pink flowers and Lemon Spica was used on the flower centers. I'm not sure if it's showing too well in the photo, but Y000 was used to color in a little sunshine around the flowers. The rest of my card suppies are listed below. I hope you'll join us in the sketch and have a sunshiney weekend! All supplies available from Ellen Hutson LLC - Stamps: Lockhart Daisy Cupcake & Thanks sentiment. Paper: BasicGrey Sultry, Memory Box Currant notecard, Neenah Natural White cardstock. Ink: Memento Tuxedo Black, Copic markers & Spica glitter pens. Accessories: Spellbinders Classic & Scalloped Circle Nestabilities, Martha Stewart Embossed Petals edger punch, buffing/sanding block 1/4" corner rounder.